Botox, Dysport, Botulin Toxin (TB) is the strongest neurotoxin of bacterial origin produced by Clostridium botulinum bacteria, it has been known as botulin for a long time. There are a few types of toxin but for medical purposes type A is used. Its function relies on blocking neuromuscular junction, which causes that muscular fibre becomes denervated and it does not shrink. Botulin Toxin was primarily used for treatment of squint and wry-neck, at present it is widely used in Aesthetic Medicine for removal of wrinkles and treatment of hands and feet hyperhidrosis. The function of botulin is of transitory character and it usually recedes after the period of 4 to 8 months. Procedures with the use of Botox can be performed repeatedly. Botox, Dysport are accessible on the market. It is the same substance manufactured by different pharmaceutical consortiums. The amount of injected toxin is minimal and it cannot cause systemic effect. Therefore, those procedures are completely safe and burdened with minimal risk of complications. Precise injection of small BT doses to particular regions provides the effect of smoothing mimic wrinkles. It works perfectly in procedures performed in the upper part of face, in the lower part it should rather be linked with fillers. The procedure is practically painless. Before the procedure it is possible to cool down the skin with the use of gel compresses or anaesthetise with Emla. Injections are made with a very thin short needle. The effect of neurotoxin starts at the moment of injection but first visual effects occur between 3 rd and 14th day. They occur gradually and slowly disappear. 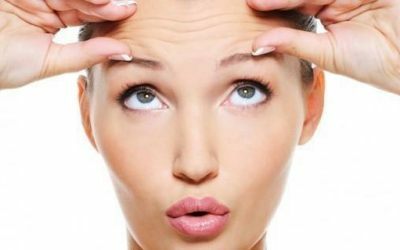 The degree of wrinkle smoothness depends on the condition before the procedure. It is preceded by medical consultancy, discussion of expected effects, potential contraindications, etc. Contraindications are sporadic and they might relate to BT function itself or the injection. excessive flaccidity of muscles and flopping of an eyelid or corner of mouth.